Looking for a Window Cleaner in the Bay Area? If you are looking for window cleaners in the Bay Area, you’ll want to make sure to find ones who have a track record for not only making windows sparkle, but also for being trustworthy, reliable and responsive. Consider checking out some of the online review resources below. And don’t forget to note if (and how!) companies respond to clients who give negative reviews. This is a good sign of how much a company values feedback, customer service, follow-up and honest business practices….as well as a way to have more insight into all sides of an issue. We’re a big fan of Angie’s List, and think you should be, too. Why? They are likely the most reputable source out there for reviews from real (not anonymous) people, like yourself, who care about their homes and the quality of service they pay for. Sign In, Sign Up, or take a Quick Tour to find the best window cleaning companies in your area. While you’re at it, check out reviews for anything from gutter cleaning and pressure washing to transplant surgery and dog walking! It honors excellence among service providers who maintain superior service ratings and reviews with Angie’s List each year. 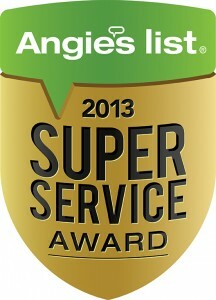 A-1 The Clear Choice has won Angie’s List’s esteemed Super Service Award for 7 years running! With over 57 million reviews, Yelp is probably the best known review site out there, covering every service under the sun. A little known fact is that at the very bottom of each business’ page is a link to “other reviews that are not currently recommended.” Yelp uses an automated software developed by their engineers to recommend reviews from the Yelp community. Although the intention of this software is to block out bogus/untrustworthy/rant reviews, they admit their algorithm isn’t perfect, and it often keeps totally legit reviews from getting on their “recommended” reviews list. So it’s always worthwhile to scroll to the bottom, click on that link and check out those reviews as well. Here are ours, for example. We haven’t found one non-legitimate one in the lot! While you’re perusing window cleaning reviews, check out a couple of our top local picks for Chiropractors and Fig Burgers! Google+ is another up-and-coming place to read reviews for window cleaners in Berkeley, Oakland, the Bay Area and the world over. Other reviews can be found through links on window cleaning service providers’ websites. Businesses will often hire a review management company to collect, manage and publish customer online reviews. We use Customer Lobby. 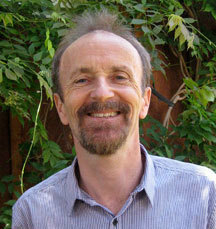 They are good, trustworthy folks who have reached out to our customers for their honest opinions about our work. You can peruse our reviews here. Be careful who you hire to clean your windows. This article references various online review sites and discusses the benefits of using these sites.